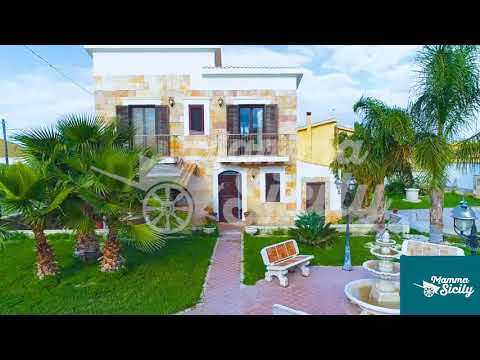 This wonderful Villa is fully immersed in an authentic Sicilian citrus park were you can find a stunning pool area and it is located 1.5 km’s away from the most renowned beach of Lido Marausa. The big Villa extends on a land of almost 3000 sqm. It consists in two units: the first unit has 2 double bedrooms, 2 twins and 2 bathrooms. Just in front of the pool we find a nice dependence with glass windows. Here you will find a living room, a kitchen, a double and a twin bedroom and a bathroom. The exterior is wonderful with many large areas to relax and a fully equipped BBQ area. Zingaro (60 km's) a natural reserve that has many “calette”, corners of golden beaches, a sort of Paradise. The Villa is located in the sea village of Marausa well known for its wonderful beaches. We are just 5 kilometers from Trapani's inner city, one of the most beautiful towns of Sicily with a typical oriental architecture in its historic centre. Another place worth a visit is the nice town of Erice, called the town of love due to its shape (a triangle!) and above all due to the fact that in ancient time (X b.C) it was the settlement of a so called eternal fire, a lighthouse that spread from the top of its mountain were sacred prostitution took place (the temple of Venus, known by all the sailors). Marsala is just 20 kilometers away and it is worth a visit. Here you can’t miss an excursion to the island of Mozia were archeology and nature walk arm in arm. Almost 20 kilometers away there are the ruins of Segesta, a masterpiece of archeology here in Sicily. Food? Of course fish, the "Busiate alla trapanese” (pasta) and "cannoli "(the ricotta cheese of Trapani is known as the best in Sicily). We stayed in Villa Mamma Eleonora for 6 nights and we had a fabulous experience. 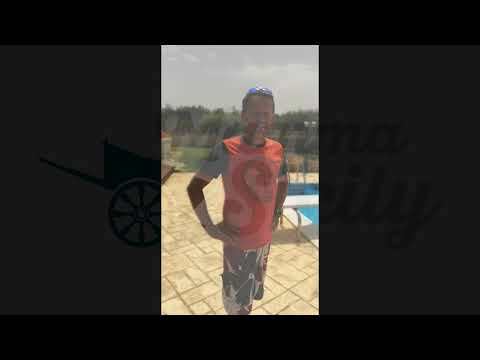 The Villa is absolutely fantastic and the owner is a professional and kind person. The swimming pool and its facilities are clean and comfortable. Thanks a lot to the owner Tony that provided us this beautiful accomodation and let us to spent an amazing holiday!